No, Seriously – It’s Time to BOSS Your LIFE! Let’s be honest – some phrases inspire us to greatness! If you’re like me even hashtags can energize your day: #VibeUp #LevelUp and #goaldigger always make me want to hit the target goals I set each day! And, truth be told, I have a particular affinity for just about anything with “BOSS” in it: #bossmoves #bosslady #bossbabes and, well you get the picture. What if, all cliches aside, you really DO NEED to “BOSS Your LIFE” – what does that entail and do you have the resources available at your fingertips to make it happen? You do now. I curated the “BOSS Your LIFE!” Guidebook using a proven selection of my most effective tools, assessments, worksheets and forms to help you clarify, organize and prioritize your thoughts and ideas. You are worth the time it takes to write out your personal vision, mission and life goals! It is equally important to know what core values are shaping your decisions. In the Guidebook you’ll get templates to help you inventory your gifts, skills and special abilities – and there’s even a space for your to note what your are passionate about! Face it – you can’t BOSS a life you haven’t bothered to reflect on. As you document important facets of your dreams and aspirations, you’ll find it much easier to set goals and convert those goals into strategies and tactics upon which you can take ACTION. This powerful tool is a digital download and is available upon purchase – for only $21. Find out why I use the TO DO form daily and why my clients insist that tracking their ACCOMPLISHMENTS has given them the much needed boost of encouragement to keep on accomplishing more. Grab your copy today and make “bossing” your life more than a hashtag; make it a reality! CLICK HERE TO PURCHASE! It’s SO easy to be smitten by a hashtag like #LevelUp – right? I mean seriously – who DOESN’T want to ‘up’ their game & improve their stats? Who doesn’t want to be perceived as the next, or the newest, fierce, fresh, phenomenon? Whatever your field is, the GOOD news is that “leveling up” is basically the same concept that is resting on the same principles: you must be consistent – persistent – and excellent. Piece of cake… that is until you get tired… or you begin to doubt if you can “slay” ANOTHER day. Are you ready for more GOOD news? Keep reading! QUIET TIME IS CRITICAL: That’s right my friend. Find a way to unplug and sit with your own thoughts without the noise of the world polluting YOUR genius. REST IS CRITICAL: Your BODY, MIND & SPIRIT need to re-boot even more than your tech devices. Shut it all down and get some sleep! RELATIONSHIPS ARE CRITICAL: Not the superficial kind either; I’m talking about spending quality time with quality people. Who “really” gets you? If it’s your grandma, chill with her! If it’s your first cousin on your dad’s side… go hang out. Maybe you were hoping for some type of DEEP and MYSTICAL elixir in order for you to #LevelUp. I don’t know about deep or mystical but I do know about “tried & true” and you will absolutely experience greater focus and enhanced productivity when you r lifestyle is infused with the three basics listed above. You only have ONE YOU. #LevelUp for real by taking better care of yourself! If you’re like most of us, every now and then you just need to ‘scan’ and assess how things are going across different dimensions of your life. Sure, you can do a check-in at the beginning of the year or… as the year winds down – but, you can also level up and examine your life at any time! With that goal in mind I created a FREE Your AMAZING Life ~ A Checklist. ⇒ CLICK HERE to get your FREE CHECKLIST! Because your life is way too important, valuable, unique and wonderful to leave to randomness. You have the responsibility (& power) to transform it from what it is now to how you know it can be. We forget how a change in one area of life can enhance all the other areas! Doing a self-assessment helps us to see what we want to keep in our lives and what we might want to change, improve or enhance! Having a tool such as this allows you to take your sweet time and really think about your life: your beliefs, abilities and dreams but at your convenience. You don’t have to rush through to get a “score’ – the results are indications of ‘where’ you are and a guide to ‘where’ you can decide to go! 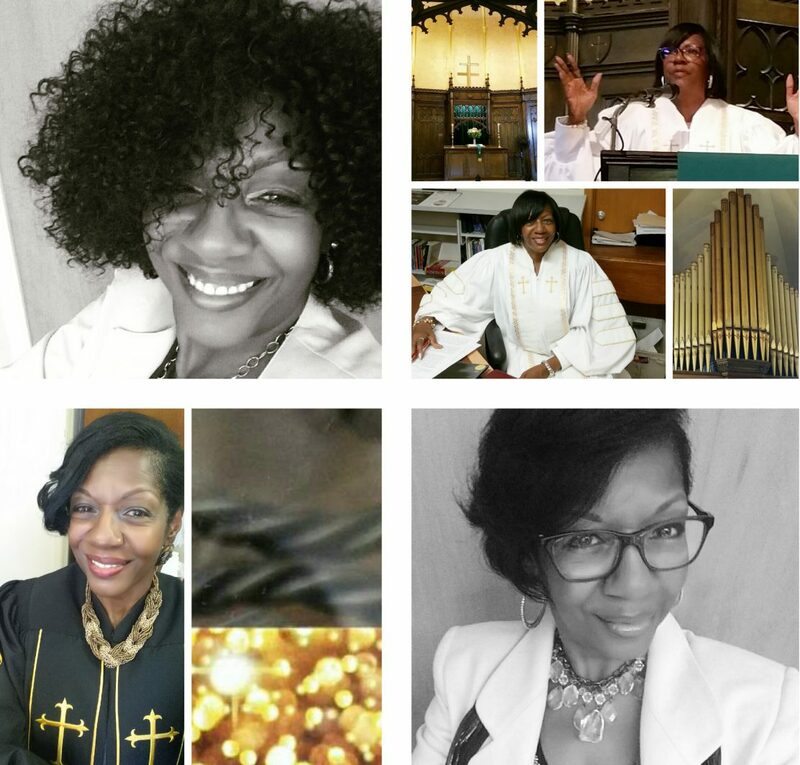 It’s Time… Join us for a Royal VISION BOARD Event! Your DESTINY is far too important to leave to chance or other people’s opinions! When you take time to create a ROYAL VISION BOARD you are allowing your heart to ‘speak’ thru the images and phrases you select. And… your HEART MUST SPEAK because it is where your deepest passions, purpose and dreams reside. Your heart is where your VISION is awaiting nurturing and activation and YOU are the ONLY one who has the spiritual authority to bring it to life. God trusts you with divine purpose. If you are able to join us on Saturday, January 20, 2018 – 11:00 a.m. – 2:00 p.m. (@ The Urban Collective in New Haven, CT) please come prepared to be encouraged, empowered & inspired! You’ll enjoy at atmosphere of faith, fellowship & fearlessness. CLICK HERE to REGISTER thru Evenbrite – tickets are only $48 and include the total experience with all materials & refreshments! Start 2018 with clarity and determination to live out your VISION! I hope you’ll opt-in and immediately enjoy the opportunity to think about your life across three dimensions: Your beliefs, your abilities and your dreams! I’m praying that you’ll be both honest and kind as you think about just how unique you are. If this resource makes you re-think your limitations then you are invited to join me for upcoming resources, tips and support! An AMAZING Life is possible. Give yourself permission to redesign your life & make it… amazing.